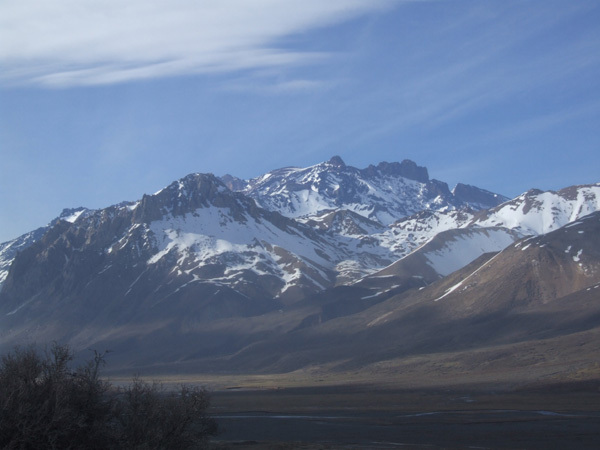 Andes Website - Information about Risco Plateado volcano, in Argentina. A high, relatively easy peak near the Chilean border. The northwest side of Risco seen from the Rio Atuel in Argentina, snow cover is for October.